I have to remember that medusas are jellyfish and merluzas you can eat, not the other way round. AN AUSTRALIAN customer has difficulties, and I refer him to Mrs D.: "More and more customers nowadays are using Paypal," I comment to her. "A sign of the worsening Depression?" I see that you are still in search of a "fit" driver for your tour in the US. I forgot to mention that I am fit (and young) and I have a two year degree (with a focus in history), although I decided to continue my studies in math and German. I quit my history program because it is mostly a farce. Thanks to you, we can finally have a more honest discussion of history. I reply: "Emily, please send me something like a CV or resumé. I never give up entirely." Ron G. writes from Iowa about Professor Richard "Slunky" Evans: "While reading your most recent Radical's Diary, I laff't at the photo of the "pompous Evans"! 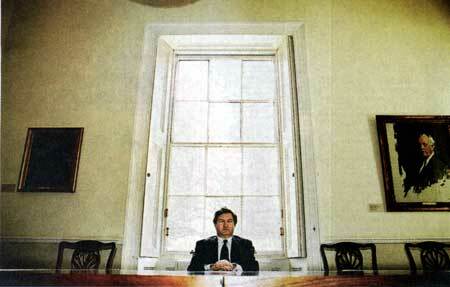 Are they sure that room is large enough for his ego? And why should Evan's colleagues not call him a ++++, after essentially letting himself be bribed [to testify] against you, then slipping into a faculty position which would be much better occupied by truly qualified and deserving professors! I hope Jessica makes you a happy grandpa some day. . . 'Gotta like babies' is right." Returning from her visit to her grandparents in Denmark, Jessica texts me, she has landed at Stanstead and is on her way back here. I tell her older sister Paloma in Madrid that we can just about afford to join her in Andalusia. She replies: "The medusas seem to be calming down. Not so bad yesterday. The weather today is a bit grim . . . should be better tomorrow." I take my little green Skoda for a car wash to brighten her up before tomorrow's long trip south. No sales at all today. A "JEREMY" continues to badger me about the Himmler postcards. For some reason he doubts they are genuine. They are, beyond doubt. Jeremy, I would have preferred your full name, as I do not like replying to anonymous people. Once again. . . He now replies: "Sure David, Jeremy Jones . . . not sure that that makes me any less anonymous, though. . . Look forward to hearing from you regarding the new information available on the postcards." 8:02 a.m The postcards are genuine. That is my view. Not changing. Not seen any reason to. We complete loading and leave for Dover around 9:02 a.m., two minutes later than planned. At 12:05 pm the boat sails. I send Jessica up to bag a window table in Langham's for luncheon. As I park the Skoda in the hold of the car ferry I hear something crunch inside the driver's door and the window jams wide open. It will not close. Grrr. Parking overnight in thieving France and socialist Spain with a wide-open window? Driving at top speed for twenty-five hours with an open driver's window? No effective air conditioning, with forty-plus degree heat outside? Disconcerting. AT Calais, we find a Volkswagen dealer, and their two helpful mechanics heave the window-pane up by brute force and wedge it shut with rubber wedges. A good temporary fix. Jessica marvels at my French, she thought she alone could speak the lingo. I will get the car serviced when I come back through Madrid. I try out Jessica's driving in a French parking lot. Hmmm. She unparks it okay, then gets in difficulties, hits the right-hand kerb and mounts it, then the left-hand one, and I halt the experiment forthwith. Four hundred pounds' worth of driving lessons so far have left some gaps, apparently. We arrive at the Poitiers hotel I booked at 9:45 pm. Somehow we have missed Paris, and went through Rouen instead. Coming back from Cadiz through Paris with Jaenelle in the Pigmobile two years ago, I showed her the Nôtre Dame: There it was, four blocks away, as we hurtled through the French capital. "Look -- now! -- down that street and you will see it." Just. No, I am sometimes not the best company. Ask anybody. As Field-Marshal Rommel said to his staff, as they zoomed up the Italian coast past Pisa without stopping: The Tower will still be Leaning when the war's over, we can all go and see it then. SLEEP loglike. The hotel boasts WiFi but it does not seem compatible. Still can't access our website or AOL. We drive on all day to Madrid, with coffee breaks. The Skoda becomes sluggish as we are going through Bordeaux, and starts guzzling gas, perceptibly droning and noisy at 100 mph and a loss of power on inclines. Rather worrying. But after a few hundred miles of this, south of Bilbao at a gas station, Jessica notices what two local oiks had been pointing to, a large white plastic bag trapped in the main air intake. The engine will accordingly have been running rich, so I hope it has not damaged a valve. Otherwise the journey has gone like clockwork so far. AT EIGHT pm we arrive at Paloma's new rented apartment in Madrid. Very impressive modern studio flat, with an entire wall of glass, down which an electrically operated blind comes down; a twenty-five foot high ceiling, with a loft-bedroom. Something else that may interest you is that [Allen] Dulles was in contact with Washington through radio-telephone. This is mentioned in the book 'From Hitler's Doorstep: The Wartime Intelligence Reports of Allen Dulles, 1942-1945', p149. It would be interesting if you could find out if the R/T link was using a speech scrambler. "Jeremy Jones," the bothersome sceptic about the Himmler postcards, says: "So, David, how do you explain the differences, particularly in the München, the way he addresses his mother -- I see each as a reason for creating serious doubt in any rational mind. . . with all due respect, you have been wrong before. . . I think the authenticity of that postcard is not beyond reasonable doubt at this stage." 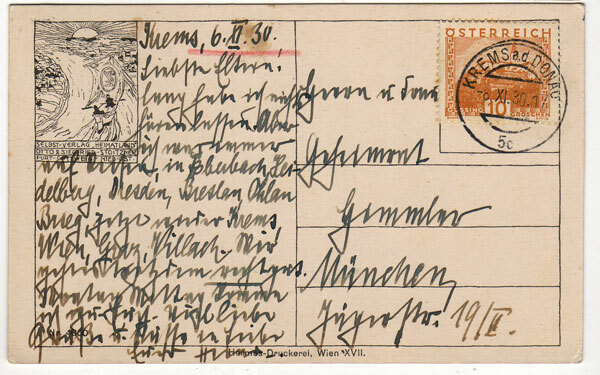 I reply that I have read scores of Himmler's letters and postcards over the years, and he is entitled to his opinion. I.e., leave me out of it. Into bed at ten pm. Rather, tired. WHERE am I? Oh, Madrid. Nosebleed as I shower. At school I could make my nose bleed massively by just thinking about it. That soon discouraged "Hector" Higgs, our Latin teacher, from hitting me. I learned Latin nonetheless, and still regard it as the most useful of my eight languages. Yes, but my opinion is based on specific features of the given postcard in comparison to others. The fact that you have seen hundreds of Himmler pieces is not helpful or informative in this specific case. Do you have some examples to share so I can see why you have no doubts about the authenticity of this postcard? This would be very helpful for all concerned. As I say, anybody can be wrong it is is not unusual to find it difficult to spot a fake. I do not reply, which is rare for me. 10:20 a.m to K.: "Heading south through Spain with Jessica. Spent the night in Madrid. What date have we now agreed for London meeting please?" A SIX-HOUR drive down to Málaga, then on westwards. The temperature outside gradually climbs to 44 degrees C, and the road to Málaga became increasingly tedious and hilly, and the engine does not like it. The air conditioning comes and goes. Time for a service, I think. I may have overfilled the oil at a rest stop half-way, because the Skoda's dip stick is impossible to read, whether full or empty. The entrails of a goat would be more informative. We arrive at Ojén, Andalusia, at eight p.m, finding the house with some difficulty. It is pleasant enough, reached up a long flight of steps, and the house itself on four floors, with a steep staircase as Paloma has warned, but nothing insurmountable thanks to my new leg. I would never have got that fixed if Jae hadn't badgered me about it. She had her qualities. The Limp is gone, but so is she. However there is no Wifi . . . Quoi de neuf. THE expensive Movistar dongle (three-month minimum contract: ah, Spain!) does not work, so I have to go online through Paloma's Mac. I read the accumulated emails, some quite startling. G. has replied. Incorrect as ever, Hugo has written too: "Drive safely! You never know what those dagoes are going to do next, once they're behind a steering wheel!" He adds: "PS No news from down under yet." I tell Hugo: "When I knew her, she was go-getting, eager, ambitious, forward-looking and keen on a career in politics, for which she had after all trained in university. I introduced her to a dozen different European countries. She has . . . turned her back on her race, on her friends back home, her family, and her country." It is very hot here in Andalusia. We have quite a family gathering in this house, and I have resumed writing after the rather arduous three-day drive down from London. 1,500 miles, so far, and the same distance to come back. Jessica was very good company. The milk you insisted we take in the car had spilled over by the time we got to Dover, and the car stank throughout. I NEVER carry milk in cars for that reason. Least of all in 44-degree (Celsius) heat! Pleasant supper on the roof terrace. G. has again responded: "I need more details." I oblige: "You will see the tour dates here http://www.focal.org/speaks." I HAVE to assume that the ten or twenty boxes of my autographed books are lost for ever. Lost in the same Black Hole of blonde forgetfulness as had her flounce out on December 1 last year and off to Australia with all our keys and mail, and eventually mail them back in mid-February. Women forget, and we forgive. Otherwise the world would not go round. If she cannot be bothered to stretch her mind to thinking where she left them, there is nothing I can do about it. . . I have forgiven her all these things, because I am first and foremost a Christian. Her current beau, the Interloper, as she called him last October . . . is such an intellectual zero. The best she can do? Hardly. Torschlusspanik? Possibly. The hardened skeptic might believe that the key lies in those escalating sums of money -- [. . .] and his bank account was all she talked about on that drive from Warsaw down to Kraków, and since then. She peered over the edge into the wallet and, intoxicated by the rising fumes of easy wealth, she toppled in! I hope she survives the ordeal, and emerges unbroken in health, perchance richer, at the other end. We all wish her to come through it well. The timeline seems way out of whack and, as for her vague assertion that she has found a job "in commerce," that seems hard to reconcile with Australia's strict immigration laws and her three years of endearing inability to do the math or balance the books while with me. Our bookstore has survived, despite everything. Women forget, and we forgive. An Ozzie employer is unlikely to view those shortcomings with the same forgiving eye. I have an original affidavit from Manfred Rommel passed down from my grandfather who was in WW2. The Affidavit is dated April 27, 1945. It is completely in detail about the death of his father general Erwin Rommel. I never realized what I actually had until we got it interpreted. I would love to get your thoughts on what should I do with this important part of history. I would love to sell it to a museum or an historian. It is an amazing part of history. I also Facebooked you! I hope you get this email. That's nice. I reply: "Hi Tammy. I know that affidavit, I used a different copy of it when I wrote the book. Download the book free here and read the last chapters, and it will all fit into place. I am not sure what that document is worth in money, but as a keepsake, it has romantic value for you. Manfred is still alive." Another persistent inquirer, Paul Iddon, inquires why I will not read the Klemperer Diaries: "I was just pondering, that, given you're a historian on Nazi Germany, wouldn't those diaries be worth reading as primary source material detailing what it was like for that person to live through the lifespan of the Third Reich? I'm not trying to be disrespectful, I am merely curious." He does not understand that a printed book is not a primary source, least of all when it is printed in Germany. I explain to him that such printed diaries are always edited, and often "skewed". INTERESTING letter from B. He has acquired the François Genoud collection of the early Goebbels papers. He asks me to find a buyer. I put a page on the website. "I knew Genoud well," I reply. "A good friend, and I was sorry when he took his own life. Of course, he controlled all the copyrights on Goebbels' diaries and works, and I assume that his estate now does too. I have no doubt from reading the list and my knowledge of Goebbels that this is a genuine and very important collection indeed." Collections of papers like these should be housed in proper archives, as indeed should my own, so people keep telling me. I have just heard from my sister, who angrily writes that she thought that sending him that book for his birthday was very insensitive and she binned it immediately. Hugo the Tactful has reminded her that this is exactly what the Nazis did with books. In fact the Austrian minister of justice told their Parliament when I was imprisoned in Vienna in 2005 that they had discovered to their horror that over a hundred of my books were in their prison libraries. (The Austrian press reported, correctly, that the prison governor in Graz had asked me to autograph all theirs.) "We have removed them all," triumphed the minister, "and burned them. We don't want people to think we are a Nazi state," or words to that effect. "Poor John," adds Hugo. "I wonder if he realises that his wife vets his reading matter?" And he asks: "Have you found anywhere to swim yet? The plague of jellyfish is just an urban myth and you'll find that the sea will be full of people happily besporting themselves." "No," I reply: "Jessica and Charlotte both got stung yesterday." They were not the only ones. "I cannot believe that your sister actually destroyed the book. . . one of our very few presentation copies."